China is the largest consumer of energy and coal in the world. The Chinese industry is based primarily on coal; the potentials for reduction of CO2 through efficiency improvement are therefore substantial. 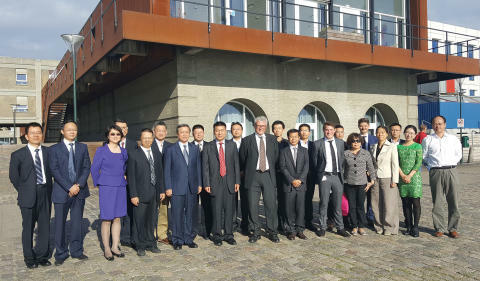 The Chinese National Development and Reform Commission (NDRC) and China’s National Energy Conservation Centre (NECC) are in Denmark to get inspired by Danish solutions. A large part of the potential for improved efficiency lies in the utilization of surplus heat from industries to district heating. NDRC and NECC are responsible for this focus area within Chinese energy policy, and the Danish Energy Agency (DEA) has therefore invited the delegation to Denmark to present how Denmark through decades has been improving the efficiency of district heating and industry. 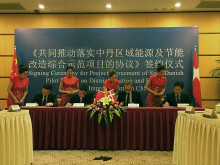 Apart from the presentation of Danish experiences is the study tour part of a preparation of a Chinese/Danish pilot project on district heating in cooperation with Beijing District Heating Group DHG).The pilot project is included as a substantial part of the cooperation agreement between NECC and the Danish Ministry of Energy-, Utilities and Climate. The inspiration for the pilot project is a project by Danfoss and COWI in the city of Anshan in north eastern China. The utilization of coal has in Anshan been reduced by extending the heat transmission system and by utilizing the surplus heat from the city’s steelwork for the supply of district heating. 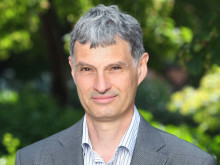 The project had a repayment period of around three years and it is estimated that Danfoss’ and COWI’s solution will contribute with CO2-savings at around 240,000 tons annually. Beijing has China’s largest system of district heating and has a long tradition of cooperating with Denmark. There is currently a Memorandum of Understanding between BDHG and Danish Board of District Heating (DBDH), and Danish Minister of Energy-, Utilities and Climate, Lars Christian Lilleholt, attended a major seminar on district heating with BDHG during his visit in China in January 2016. Zhangjiakou north of Beijing is together with Beijing hosting the Winter Olympic Games in 2022 and will therefore be extending and upgrading their district heating system. 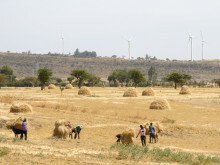 Zhangjiakou has also by the Chinese authorities been selected for being a city of demonstration of renewable energy, which means that there are excellent opportunities for testing new solutions. Zhangjiakou is therefore also a candidate for a Chinese/Danish pilot project on district heating. The study tour is a component of a long-standing cooperation between NECC and DEA. Regulation, planning and Danish technologies are areas that DEAs shared knowledge on with NECC. NECC shares this knowledge with their 1200 local Chinese centres of energy savings, thus has an extensive outreach in China. Experiences from the study tour and the pilot projects will be summarized and also sharing broadly in China. The delegation of NDRC has a programme arranged closely with State of Green and will after the intensive first days with a strong focus on utilization of district heating and surplus heat continue their tour in Denmark until the 30th of September. The delegation will get a broader introduction into Danish experiences within energy efficiency. During their visit the Chinese delegation will meet a lot of key stakeholders from everywhere in Denmark, such as national and local authorities, knowledge institutions and more than 20 Danish companies.